I promised another post regarding my son's second great love: Clocks. If he isn't talking/singing about the ABCs, all he wants to do is look at clocks online or visit a local clock shop. He came by his fascination with clocks naturally. 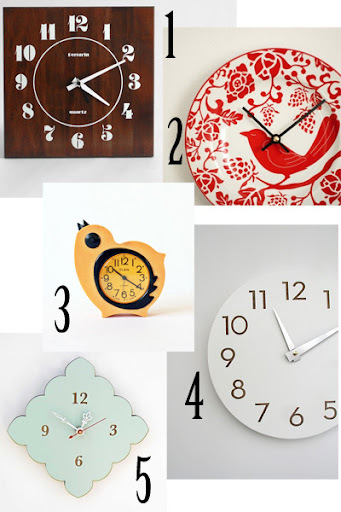 His grandmother (my mother) is an avid clock collector and I find that I'm drawn to them as well. 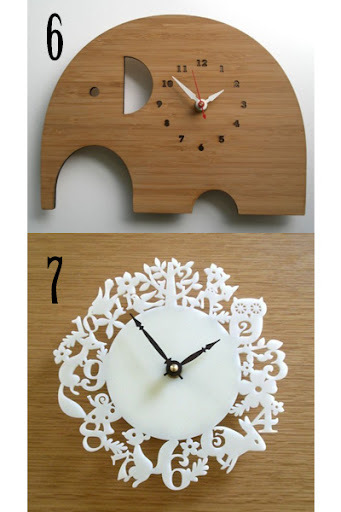 Finally, the clock featured at the top is a new find and I think I MUST have it. 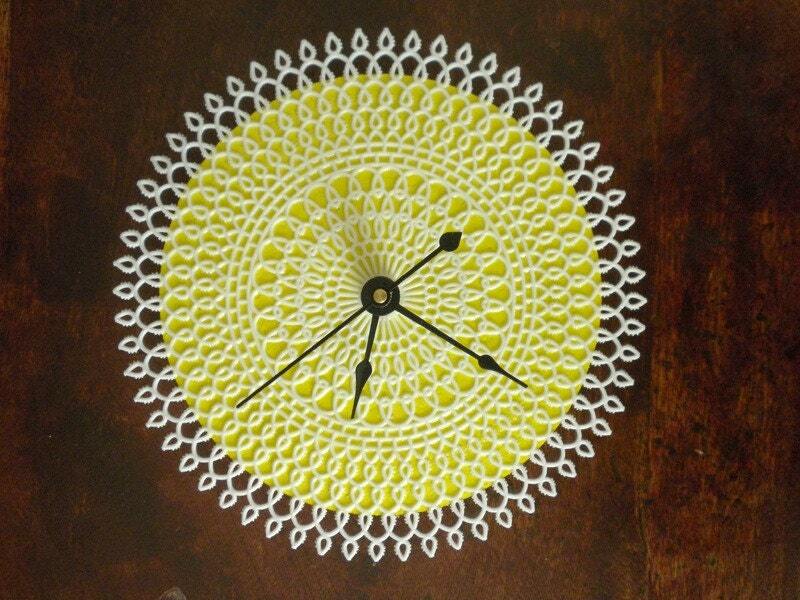 It is the small doily clock from and furthermore. My son approves.